American and European car cultures are markedly different. On opposite sides of the Atlantic, the former heartily embraced the flamboyant and brash custom culture, while Europe’s aftermarket was a little more straight-laced and disciplined. 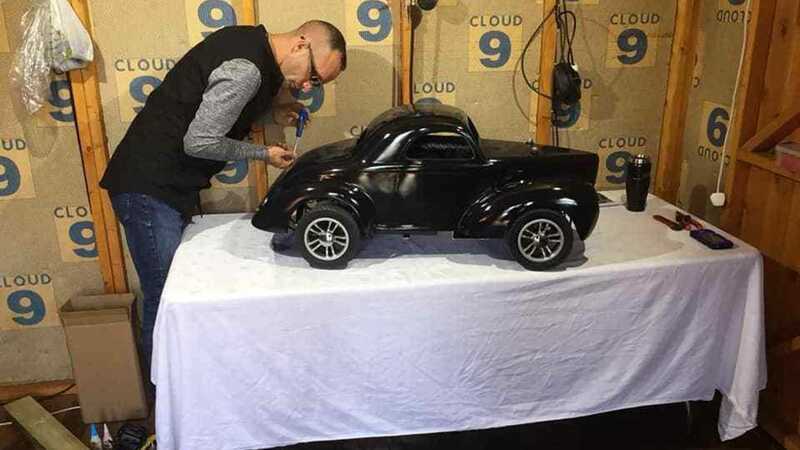 Among Europe’s best-selling models of all time, the humble Volkswagen Beetle has been used as a canvas by plenty of hobbyists – but perhaps never in the American way. 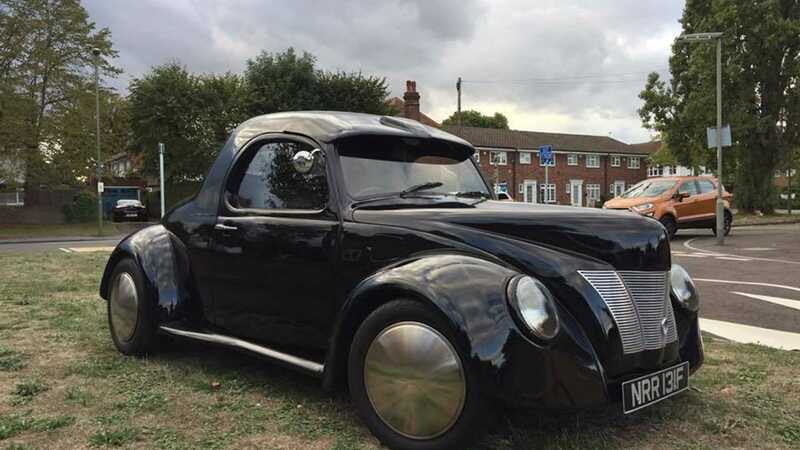 One owner had his Beetle transformed into a tribute to the Willys Americar, one of the most popular hot rod cars in the States, and they’re currently selling their creation on eBay. 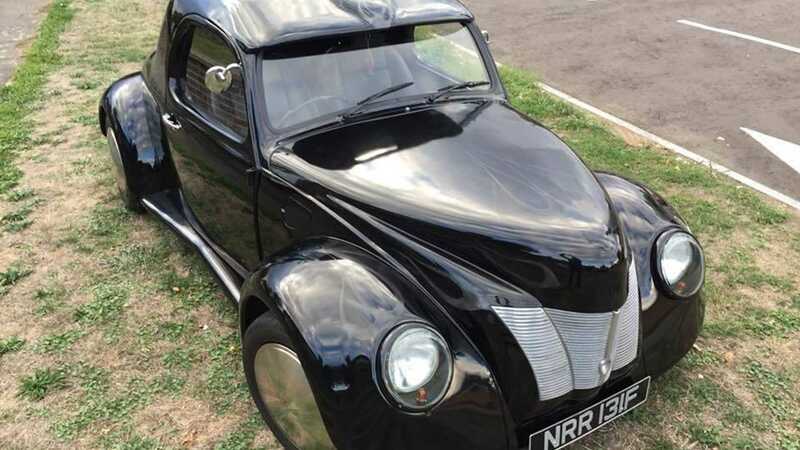 For those not involved in the hot rod scene it’s likely quite astounding to think that the Beetle would be a prime candidate for a hot rod conversion. 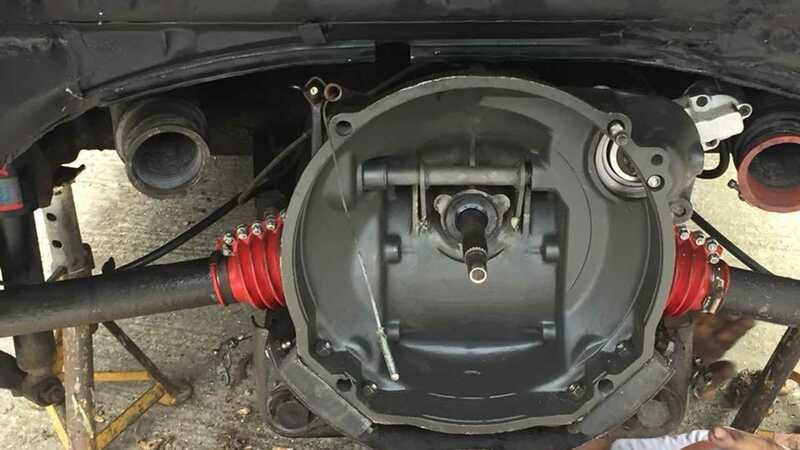 But there’s an entire company dedicated to performing such transformations, Spectre BGW, who offer three different type of Beetle hot rod conversion. 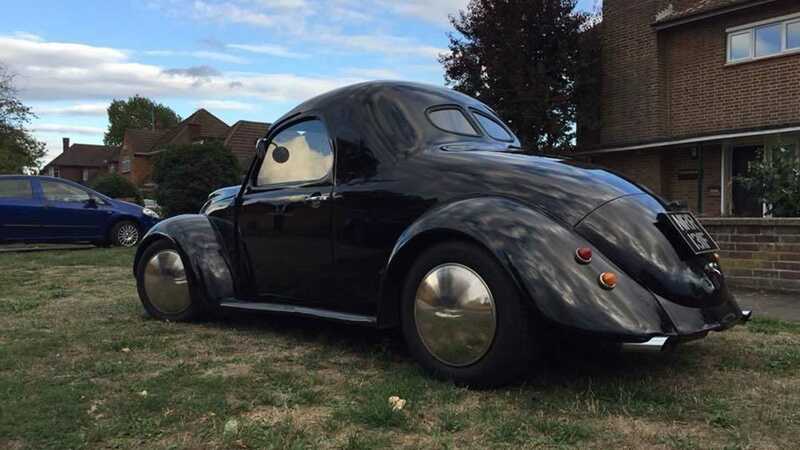 This particular Beetle has been treated to the ‘Opera Coupe’ spec, which does away with some of the original car’s practicality by transforming it into a two-seat, three-window coupe. Gone are the original rear seats and windows, replaced by a dramatic swooping coupe body. Out front, there’s little trace of Beetle left aside from those wide-eyed bug headlights, instead sporting a diamond-cut alloy grille as a throwback to a bygone age of American motoring. 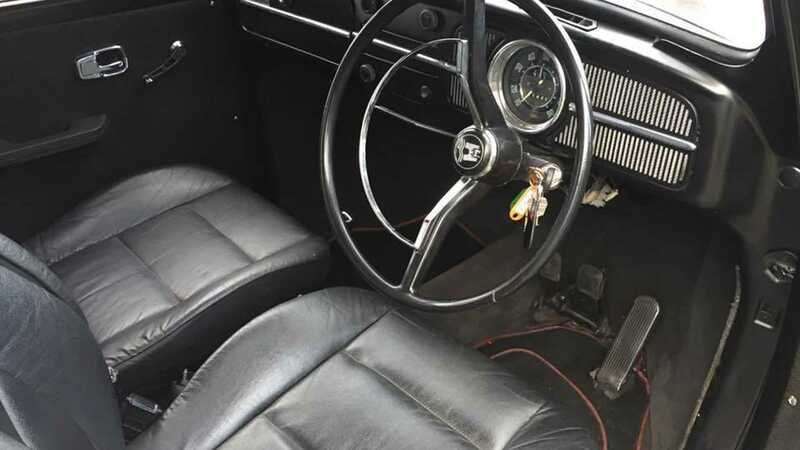 Surprisingly though there’s still two seats in the back – albeit you’ll need to be either a child or a contortionist to use them – and said seats are donated from a BMW 3 Series. The mod cons continue inside, as a Pioneer Bluetooth stereo system with rear speakers has been fitted. It compensates for those present-day modifications with some added retro touches, like the chunky show tyres and stainless steel dish rims. 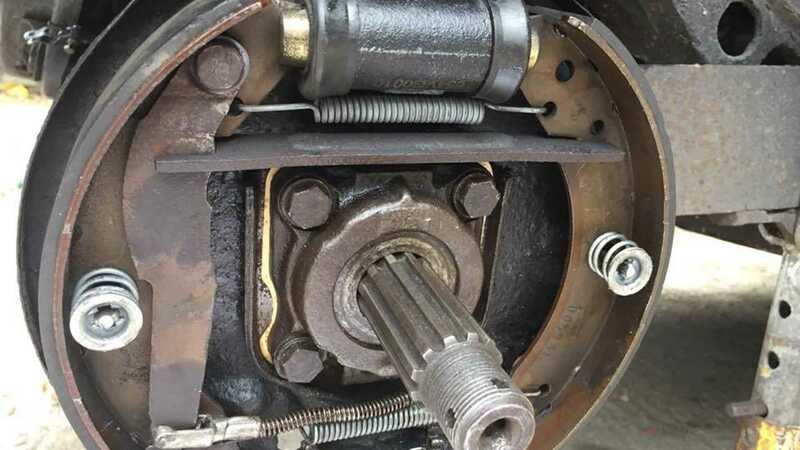 Mechanically all is said to be sound. 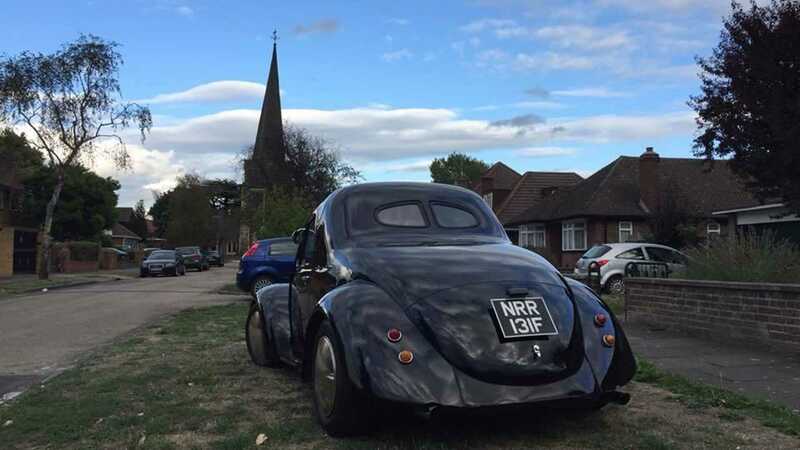 Surprisingly, rather than swap in a V8 as one might expect with a hot rod, there’s still a Volkswagen air-cooled engine in the back, while the gearbox has undergone a full refurbishment and a new clutch has been fitted. 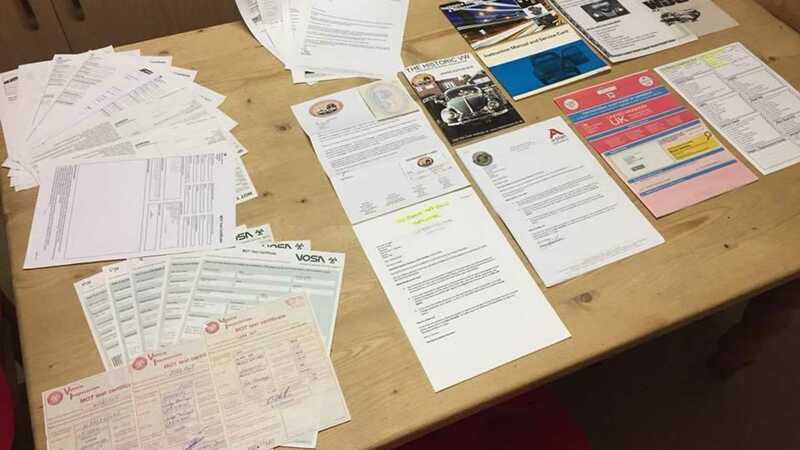 Overall there has been an impressive amount of work carried out, given the Beetle has only done 31,000 miles in its lifetime. But this car isn’t about mechanical prowess. It isn’t designed to go fast – it would defeat the purpose of getting onlookers to stop and stare. It’s little surprise this Beetle draws attention – its fusion of European and American motoring cultures creates a unique aesthetic. Oh, and there’s one bonus too. 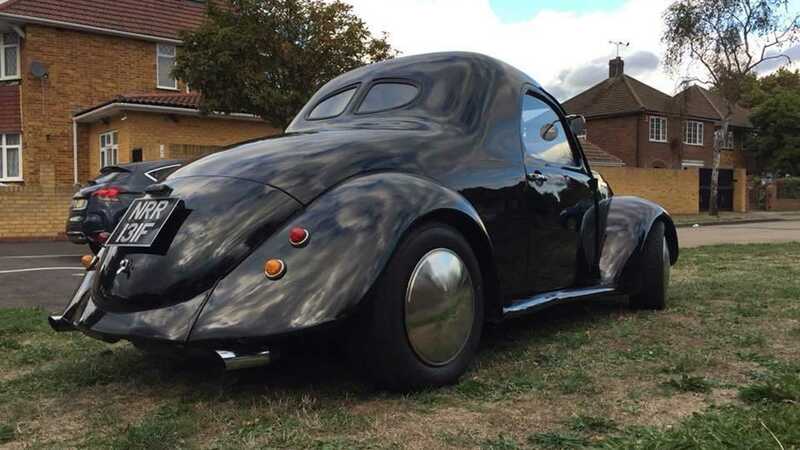 You don’t just get the car when purchasing this Beetle Opera Coupe – there’s a 1:4 scale remote controlled clone to go with it, should you stump up the £15,000 ($19,150, €16,750) asking price. Just, whatever you do, don’t get tempted to imitate the Malloy Brothers from Ocean’s Eleven. That would be a waste of a good pair of cars.